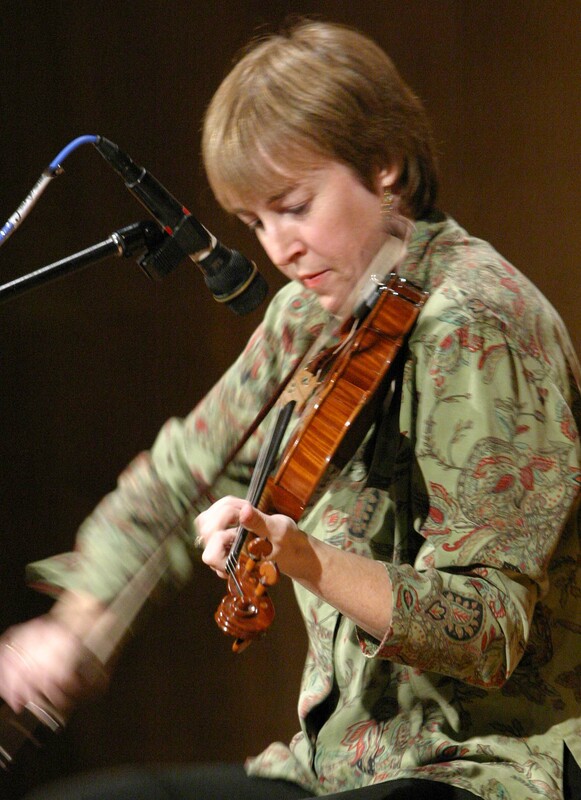 When I was first taking fiddle lessons I said to my teacher at the time, “I want to play fast.” She said “start listening to Liz Carroll.” So I did. And I fell in love with her music. It’s not the speed of Liz’s playing that makes her such a brilliant player though, it’s the preciseness of her notes, the swing in her rhythm and lift she brings to the melody. Her ornaments are perfectly placed and every now and then she switches up the key or changes one major (or minor) note to bring color to the tune. She’s one of my favorite players and one year I was lucky enough to be able to take a week long workshop with her. Not only is she a great player but she’s a great teacher as well. She teaches the tune to you and then shows you where you could put in ornaments to make it your own. She plays (and teaches) with such great passion and her music just makes me want to dance. If you’re around on Labor Day weekend, this festival is not to be missed. Liz is just one of a slue of great musicians and bands performing. Find out who else is playing at the New World Festival at Chandler on Sunday, August 31.